This is an eighteenth century silhouette of a gentleman wearing a ‘physical’ wig, a style of wig much favoured by the professional and learned gentlemen of the day and which dates the profile to around 1770. 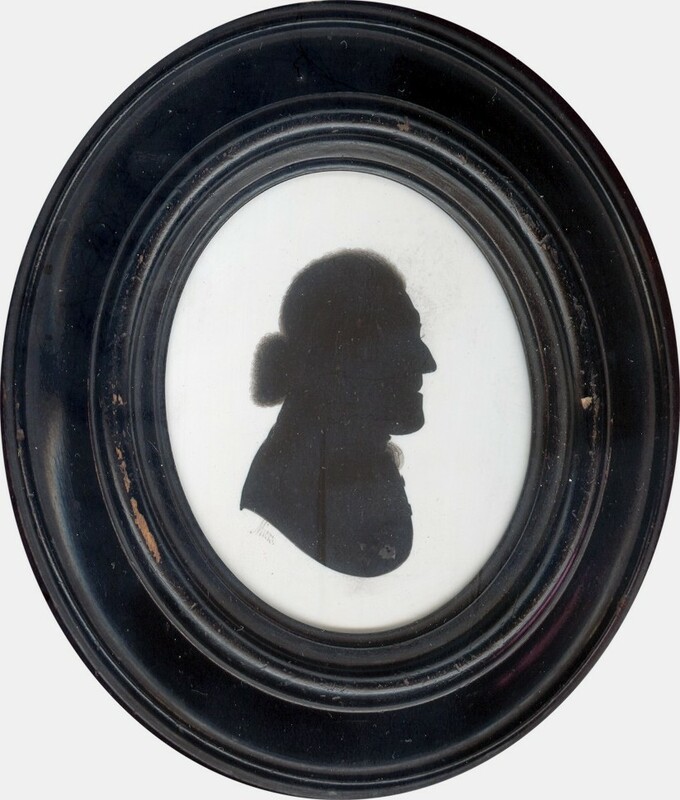 The silhouette is painted on ivory and is signed Miers under the bust-line. It is set in the original ebonised frame. Although he never trained professionally, John Miers is considered to be the finest of the 18th century silhouettists. His career began in Leeds when he took over his father’s business as a coach-painter & gilder. Having recently married, Miers was keen to expand the business and, in addition to preparing and selling paints, he advertised profile shades in miniature for 2s. 6d. each. He clearly excelled at this from the start as within a few years this had become his main line of business and prompted Miers to move his family first to Edinburgh and eventually to London where he ran a busy and successful studio at the Strand.